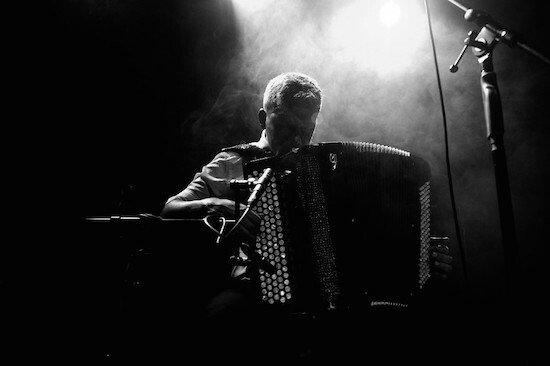 After touring with BEAK>, Bosnian accordion master Mario Batkovic was signed up to Geoff Barrow’s Invada Records, leading to the release of his latest, self titled record. You can stream the album in full now via the embed below. We're very pleased Mario Batkovic will return to Le Guess Who? this year. After being curated by Savages last year, he is now invited by our curator James Holden, together with a.o. Maâlem Houssam Guinia, Jerusalem In My Heart, Shabaka & The Ancestors, Robert Aiki Aubrey Lowe, Hieroglyphic Being, and more.